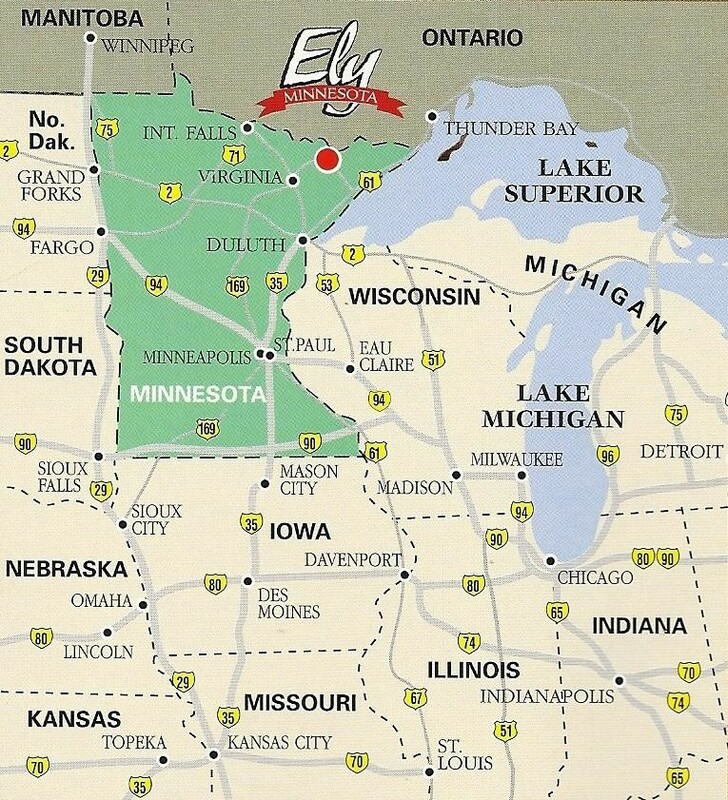 Ely, Minnesota: Where the road ends and the adventure begins! Driving: Guests living in the Midwest typically choose to drive. Ely is served by good paved highway systems. Allow 4 hours drive time from Minneapolis and 10 hours from Chicago or Kansas City. Your car may remain at our shop or the entry point while on trail. Flying: Guests traveling by plane typically fly into Duluth (DLH - 2 hours driving from Ely) or the Minneapolis-St. Paul Intl. Airport (MSP - 4 hours driving from Ely). Flight prices typically are much lower for MSP. Ely does not have commercial flights, although private planes may fly into the Ely Municipal Airport (ELO - 4 miles from Ely). Rental Cars: Most of our guests arriving by air find it most cost-effective and convenient to rent a car at the airport. The rental car may remain at our shop or the entry point while on trail. Taxi: Ground shuttle service to Ely is available from airports in Duluth and Minneapolis-St. Paul. Ely Shuttle Service (218-349-1383) is available for a round trip flat rate for up to 3 passengers from Duluth ($450) and Minneapolis-St. Paul ($1,100); 4 to 5 passengers from Duluth ($575); 6 to 13 passengers from Duluth ($975); and 4 to 13 passengers from Minneapolis-St. Paul ($1,800). Bus: Ely does not have commercial bus service. Park on the street for a pre-trip orientation or if you are not picking up canoes. Pull around to our parking lot off the alley if you are picking up canoes. Take Interstate 35 north. Exit to Hwy. 33 north at Cloquet. Exit to Hwy. 53 north. Four miles north of the town of Virginia, exit on Hwy. 169 north and travel 45 miles to Ely. Ely Outfitting Company is two blocks after the second stoplight on your left at 529 E. Sheridan Street. Take Interstate 35 north to Duluth. Follow the below scenic route directions from Duluth. Take Hwy. 53 north. Four miles north of the town of Virginia, exit on Hwy. 169 north and travel 45 miles to Ely. Ely Outfitting Company is two blocks after the second stoplight on your left at 529 E. Sheridan Street. Take Hwy. 61 north along the North Shore of Lake Superior. Turn left after Silver Bay onto Hwy. 1 west. When you arrive at the first stop sign in Ely, turn left onto Sheridan Street. Go about one mile to 529 E. Sheridan Street on your right. Call 218-343-7951, or use this easy form. A great trip deserves great FOOD. 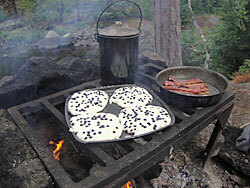 Our Complete Outfitting Package includes specialized camping food for your trip. CLICK HERE to select your menu!